Located in the plain of Mitidja, 23 km south-east of Algiers, White House, Dar el Beida in Arabic, is the civilian airport. Check this site in November 1941, the squadron had yielded 4 B, a few months earlier part of his Glenn Martin 167 A3, considered in June 1940, when it was created in Casablanca, the benefit of 7 B the disastrous campaign in Syria, partly Franco-French slaughter. Now called 4 BR and steering wheel on Potez 63, she will be dissolved on May 1, 1943, end of the first presence of Naval Aviation on this basis. For a year, from September 1946 to October 1947, the White House will be a stopover Navy will turn off after this deadline lack of need and it will be 1 December 1953 to view reactivated in order to accommodate civilian or military VIPs. There were also on-site S.L.E.M. (Section Liaison General Staff), with a few units of the squadron 31 S used regularly by ALMED. 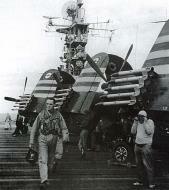 New items, sailors had to find a place among the civilian infrastructure, a large majority, with control of the platform and audience to navigation, and that of the Air Force, all aligned as in parade along the common parking, parallel to the 06/24 of 2450 meters, another track of 1400 meters as existing. On 1 October 1955 the SUR.MAR missions carried out by the squadron 15 S, established on 6 June 1955 on site became more and more frequent, to trap weapons against band in favor of the FLN, the stop became BSAN The 15.S flying very clearly TBM-53, TBM-3 E-UT and TBM, administrative situation was most dense. The B.S.A.N. administratively dependent on the B.A.N. Lartigue, but its commander fell to ALMED for SLEM of Pré.Mar for SUR.MAR and the Commander of the Air Base (Air Force) in Algiers for the defense. White House will become B.A.N. October 10, 1955, which gave no additional space for living and working correctly sailors, staff, more and more, to be housed in Oued Smar, four kilometers from the base. The 15.S was replaced on July 20th, 1956, with 8.S returning from Indochina with Grumman Goose. Almost at the same time, on 1 August 1956, was created based flotilla 31 F, sole owner of the famous flying bananas, aka Piasecki Piasecki H-21-C and 7 June 1957, the 31 F-equipped Sikorsky H -19 D, more known as cheerful elephant, before his transfer to Lartigue in July. The MEDS, who flew Lockheed PV-2 Harpoon, NC 702 and Beechcraft SNB-5 became on 1 January 1958, the 32 O SO 30 P Bretagne, squadron dedicated to transportation. 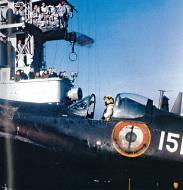 That same year, the enclave of Naval Aviation still grew in importance, both because of repair tracks Lartigue, as the use of the premises by fleets 11 F and 16 F on Aquilon, June 3 1958 to 30 November 1959. 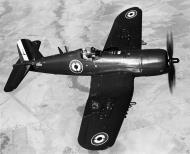 They had come under ground support of troops in combat, presence further reinforced in April by Corsair 14 and / or 15 F. These two fleets succeeded in alternating every two months for the same type of missions. As if all this training was not sufficient to create problems, mostly square, four of the 4 S Lancaster came to settle also from mid-September. The end of the year also saw the construction of technical workshops, to acquire vis-à-vis independence of the army of the Aire and AIA. The latter was famous in the aviation world, to have repackaged the Liberation, the LeO 453 and part of Stampe SV4 C (best done), a little later. It took the big rage of a senior officer for the departure of the detachment Corsair and the end of the presence of aircraft in the PAT.MAR that threatened every day a little more, the structure of asphyxiation. But the natural hunting ... the following year, the SO 30 P and the Douglas DC 4 of the 31 S affected RNS settled replacement. 32 S White House will remain until the beginning of 1962, which will be consolidated Lartigue winning most of the material after Algerian independence, that's where it was dissolved on 3 July. The B.A.N. Algiers White House will be permanently removed on 1 September 1962. Operation Musketeer (French: Opération Mousquetaire) was the Anglo-French-Israeli plan for the invasion of Egypt to capture the Suez Canal during the Suez Crisis. Israel had the additional objective to open the Straits of Tiran. IL-2 Sturmovik Cliffs of Dover - COD/CLOD skins No 3d model at this stage! Current, Colonel John D., ed. American Warplanes of WWII. Mainz, Germany: PediaPress, 2011. No ISBN. 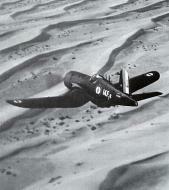 F4U Corsair in Action Jim Sullivan Squadron/Signal Publications (Aircraft No.29), 1977. Victory in the Air Aeroplane Monthly, VE-day 50th Anniversary edition IPC Magazines Ltd, 1995. Airplane Nr.162 DeAgostini (Netherlands), 1996. US Navy and Marine Corps Fighters (WW2 Aircraft Fact Files) Willand Green and Gordon Swanborough Macdonald and Janes, 1976. Les Avions de Combat de lUS Navy de la deuxieme geurre mondiale. Le Fana de LAviation, Hors Serie. Editions Lariviere, 1997.